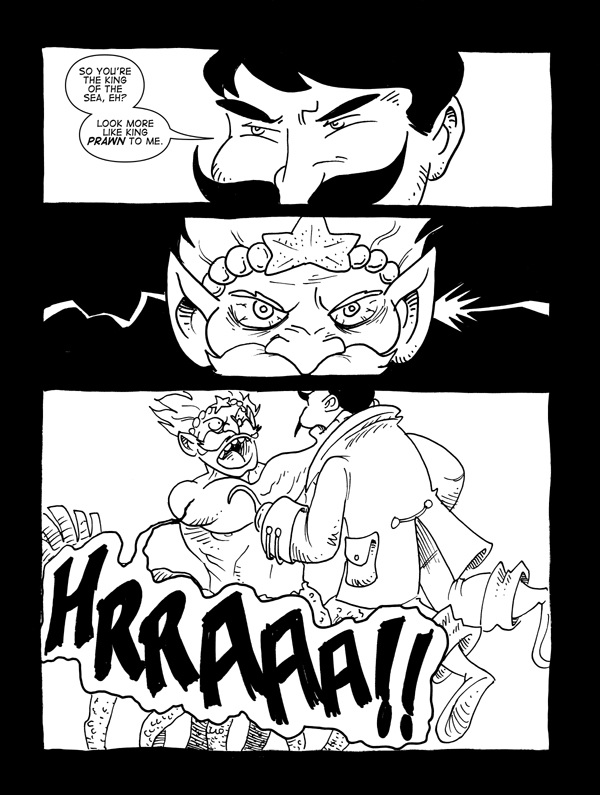 The Tides That Bind, Page 8 – Catbeard the Pirate! The King of the Sea shall not be taunted. Thanks for reading; come back Wednesday for a new page!